According to That Hashtag Show—who originally reported on the rumor of Jones’ casting last week, before it was confirmed by Entertainment Weekly shortly after—Iron Fist will enter production in April. 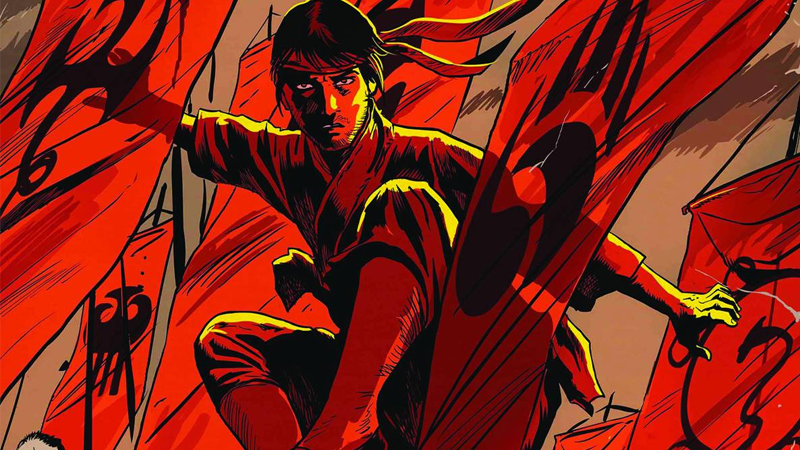 Marvel and Netflix are also allegedly on the hunt for an Asian actor to play Shang-Chi, a major supporting role that could (just has been long rumored about the Punisher in Daredevil) see the character get his own Netflix series, depending on fan reaction. In the comics, Shang-Chi actually predates Iron Fist’s creation by about half a year. He first appeared in December 1973, before Danny debuted in May 1974. An homage to the classic martial arts movies of the era, Shang-Chi has no superpowers, just a complete mastery of the martial arts. Over the years, he’s teamed up with Danny (and largely has been considered a much better fighter than Danny is, even with his superpowers) along with several other Marvel heroes, and he even had his own Secret Wars spinoff series last year. If this rumor shakes out and Shang-Chi is heading to Iron Fist, then there’s inevitably going to be a lot of conflicted emotions about it. Adding an Asian character, especially in the wake of the decision to keep Iron Fist white, is a welcome move for diversity that is still considerably lacking in Marvel’s cinematic universe. But at the same, it also renders moot the argument that making Iron Fist Asian or Asian-American would’ve been pandering to a racial stereotype that Marvel actively wanted to avoid. Why not have an Asian or Asian-American Iron Fist alongside Shang-Chi, and have both those characters subvert the stereotypes they were created with? There could’ve been a better way to go about this, and simply adding Shang-Chi in as a compromise won’t stop people from believing that.